On November 1st, the Campaign for Safe Cosmetics released an analysis of Johnson & Johnson iconic “No More Tears” baby shampoo via a report, Baby’s Tub Is Still Toxic (pdf). This report was released more than two years after many leading health and parents’ groups specifically asked Johnson & Johnson to reformulate their baby shampoo in order to remove a formaldehyde-releasing preservative (quaternium-15). Strangely, this new report shows that Johnson & Johnson did indeed remove this cancer-causing chemical from baby shampoo sold in Denmark, Finland, Japan, the Netherlands, Norway, South Africa, Sweden and the U.K. The bad news: Johnson & Johnson are still using the formaldehyde-releasing preservative in baby shampoo formulas sold in the United States, Canada, China, Indonesia and Australia. Too bad for us here in America huh? For once though, a possible revelation – as soon as the Campaign for Safe Cosmetics’ report was released, Johnson & Johnson lickity split, released their own statement, noting that they are getting rid of products containing formaldehyde. These changes are a step in the right direction, but it’s far from time to start feeling all warm and fuzzy about Johnson’s Baby Shampoo. Right now, any Johnson’s Baby Shampoo on U.S. store shelves today still has formaldehyde-releasers and other hazardous chemicals in it. Also, according to PETA and Leaping Bunny, Johnson & Johnson still tests on animals. 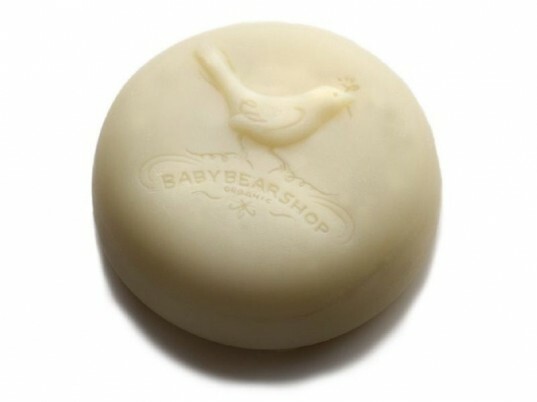 Their baby shampoos and soaps are not biodegradable. Even their so-called natural line contains some questionable ingredients, such as fake fragrances and still scores worse than many other baby shampoo products at Skin Deep. When you start comparing Johnson’s & Johnson’s products to other products, their baby care line just doesn’t make the safest-for-your-baby cut. Consider the almost entirely organic Babybearshop line or the Dr. Bronner’s Fair Trade and organic baby line and others, who have gone Fair Trade, biodegradable and certified organic, simply because they know it’s safe. No pushing from reports or consumer groups needed. Sure, Johnson’s & Johnson’s have taken a small step in the right direction, but it’s taken way too much massive pushing from too many to make it happen. Your baby deserves better. On November 1st, the Campaign for Safe Cosmetics released an analysis of Johnson & Johnson iconic "No More Tears" baby shampoo via a report, Baby�s Tub Is Still Toxic (pdf). This report was released more than two years after many leading health and parents� groups specifically asked Johnson & Johnson to reformulate their baby shampoo in order to remove a formaldehyde-releasing preservative (quaternium-15). Strangely, this new report shows that Johnson & Johnson did indeed remove this cancer-causing chemical from baby shampoo sold in Denmark, Finland, Japan, the Netherlands, Norway, South Africa, Sweden and the U.K. The bad news: �Johnson & Johnson�are still using the formaldehyde-releasing preservative in baby shampoo formulas sold in the United States, Canada, China, Indonesia and Australia. Too bad for us here in America huh? For once though, a possible revelation - as soon as the Campaign for Safe Cosmetics'�report was released,��Johnson & Johnson�lickity�split, released their own statement, noting that they are getting rid of products containing formaldehyde.